Branson Ultrasonic SENSOR Part no- 200-099-190 About Us Sheetal Enterprises offers new and used spare parts for your Branson ultrasonic welding equipment. You can benefit from our inventory of used power supply modules, DC power supplies, keyboards, programmers, system protection monitors, mother boards, transistors, relays, switches, fans, accessory interface modules, converters, boosters, cables, connectors, actuators, load cells, dynamic trigger mechanisms, cylinders, valves, flow controls, hubs, start switches, columns, and bases. 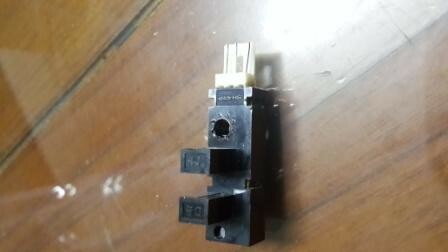 We also repair converters for a fraction of the cost of new ones. Our experienced service personnel are trained to handle your ultrasonic repair and maintenance needs. We service Branson ultrasonic welders at a fraction of the cost of the original manufacturer. Check with us for service of your Branson 400, 800, 900 and 2000 series ultrasonic welders. We will repair your failed machine for you or sell you the part component(s) you need, so you can fix it yourself.